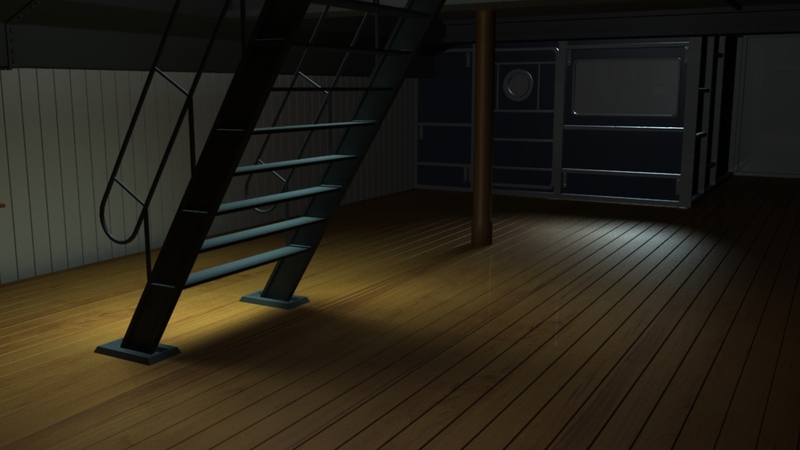 Textured and light a ship deck scene. The original ship deck model is not my own creation. 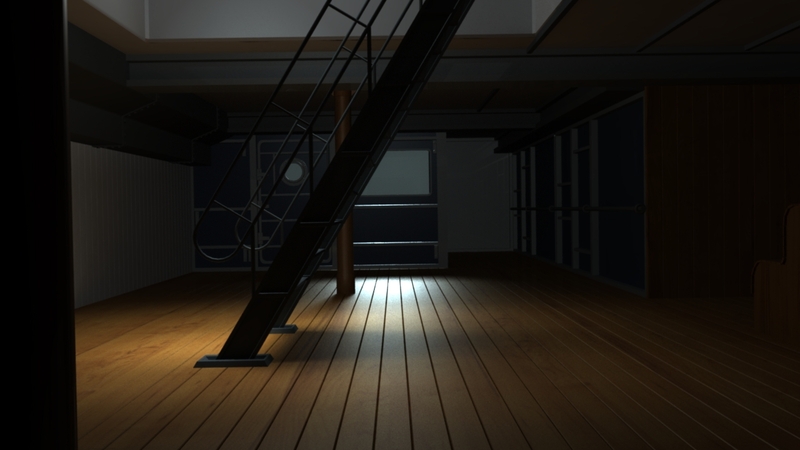 Short pan animation of classroom scene showing how shadows play off of the lighting as the camera angle changes.